How Long Does It Take For A Tree To Regrow Branches? When you cut back branches on a tree, you’d expect branches to start growing back right away. If you’re not seeing any regrowth on your tree though, you may start to get worried. How long does it take for branches to grow back on a tree? I very much depends on how the tree has been cut back in the first place. Here’s what you should expect from your tree when it starts to grow back. If you’ve cut your tree back yourself, then you may have cut into trunk wood, rather than branch wood. If this is the case, this will be why it’s taking longer for your tree to grow back. Damage to the trunk can cause issues with new wood growth on your tree, so if you’ve cut into it you may not be seeing new branches come back. This is why it’s usually a good idea to bring in an Orlando tree service company to help you cut back your branches. Their staff is usually trained to know where they can cut a tree, avoiding damage and helping your tree grow back quicker. If you’re not seeing regrowth on your tree, it could be that it’s been ‘topped’. 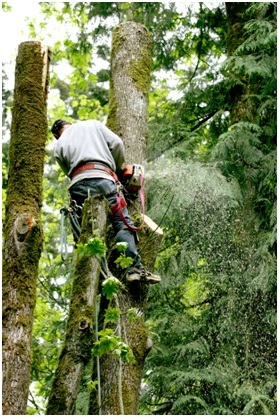 ‘Topping’ is a process where the main branches of the tree are cut back to the trunk. Many homeowners do this because they feel they’re stopping branches from falling off, especially during storms. They think that the limbs will grow back as they were before, so all they’re doing is keeping the branches short. In fact, if you top your tree, you’re actually damaging it. The main branches will grow back in much weaker than they were before. This means if another storm comes by, the branches are even more likely to come down. As well as this, you’ll be waiting even longer for new buds to form and branches to grow back. It’s not a good look when the rest of the garden is in bloom but the tree is still bare. Is this true? If you cut a branch off, will it not come back? It very much depends on how you’re pruning your tree. It is true that once a branch has been cut off, it won’t technically grow back. That’s because the cut site of the branch isn’t designed to be able to grow back. Instead, what should happen is that latent buds should be present on the tree. If they’re not damaged, and they’re near the cut site, then they will grow instead. That means the cut branch won’t come back, but a new branch may take its place. That’s why you have to be careful when cutting branches on your tree. Topping may stop new buds sprouting, and if you damage them, then they may never sprout. 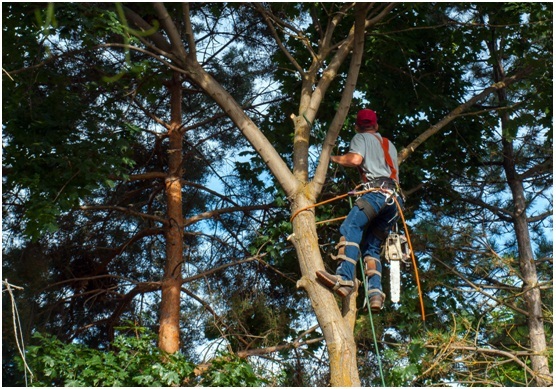 Bringing in an expert from a tree service will help you keep your tree in good condition, and help new branches grow. If you’re worried about stopping your branches from growing in, then the best thing to do is not do the pruning job yourself. Here at Advance Tree Pros, we’re experts in pruning trees safely. 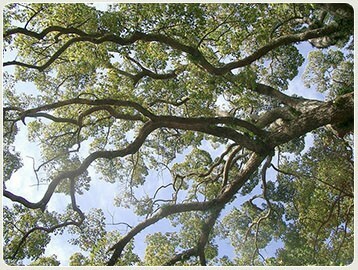 We can bring your branches back so they’re safe from damage, but still, allow the branches to grow fully. We also have all the equipment needed to get the job done quickly and safely. This includes crane lifts, so we can reach even the tallest branches. All our staff is fully trained and experienced in the use of this equipment, so you know you’ll be safe while the work is being carried out. Once the branches are all trimmed, we’ll even take the waste away with us. We recycle any waste created during our work, so you know that your trimmed branches are doing some good elsewhere in Orlando. Plus, you won’t have to worry about clearing up your yard after we’re gone! As you can see, it’s not easy to answer how quickly branches grow back. In fact, they don’t technically grow back at all. You can encourage new growth though by pruning your tree properly and keeping it healthy.